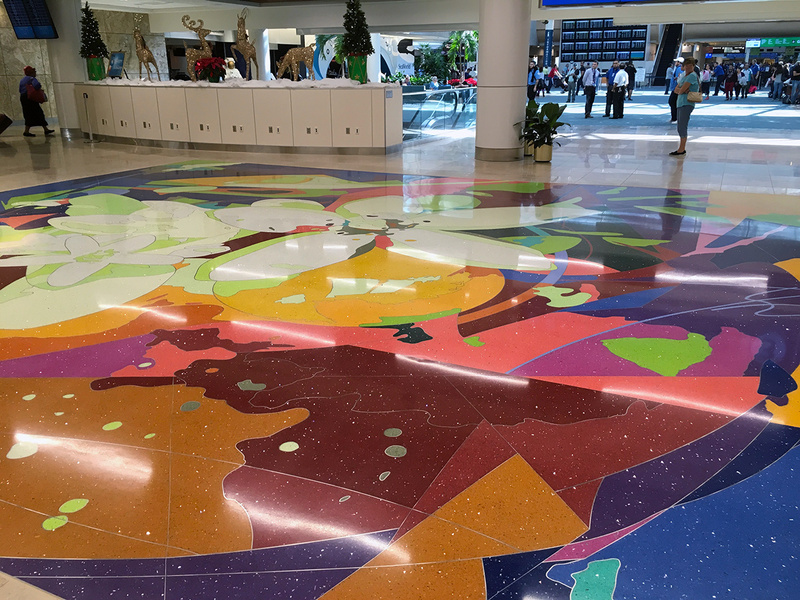 The first of four artistic terrazzo floors I designed for the Orlando International Airport was unveiled today. This floor contains 24 colors and is 896 sq. ft. 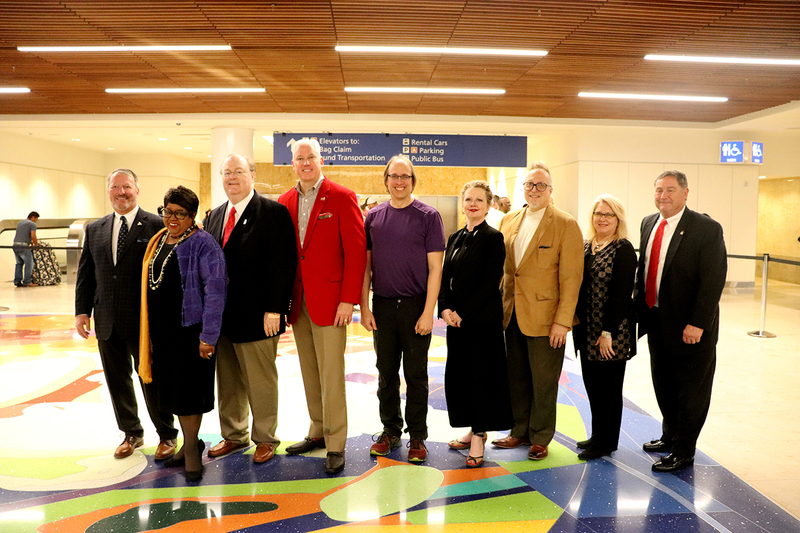 The garden designs are organized thematically upon the quadripartite layout of the four airside satellites in the North Terminal Complex at Orlando International Airport and relate geographically to the larger context of central Florida. The Wellness Garden design evokes the agricultural history of Orange County with images of both oranges and orange blossoms. All four floors will be completed by Spring 2018. 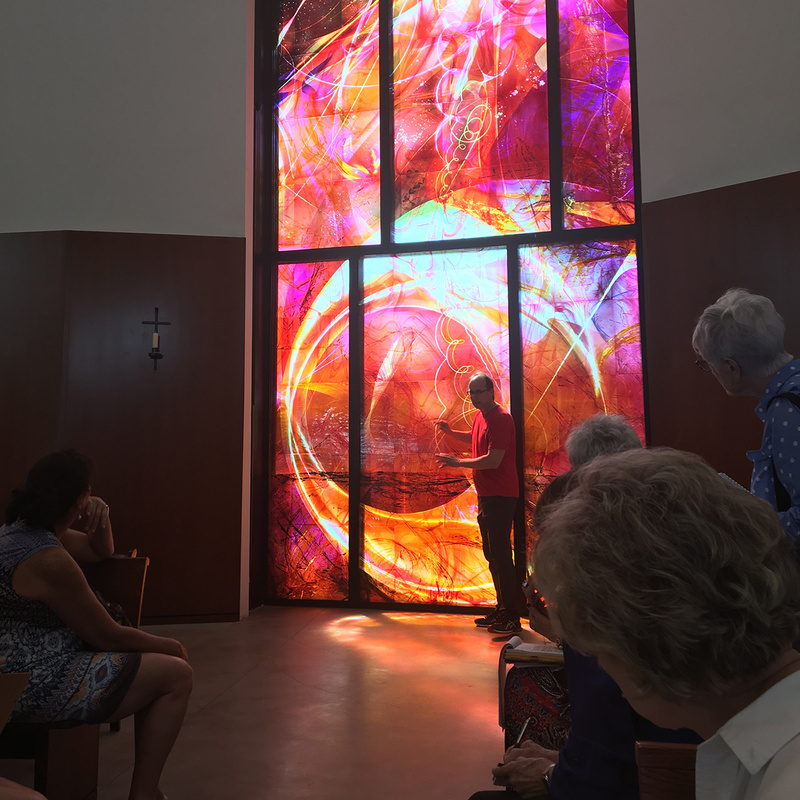 My presentation to the Docents at the Conventual Church of Our Lady of the Angels, on the day of St. Francis and the celebration of the dedication of the new church at the Franciscan Renewal Center. 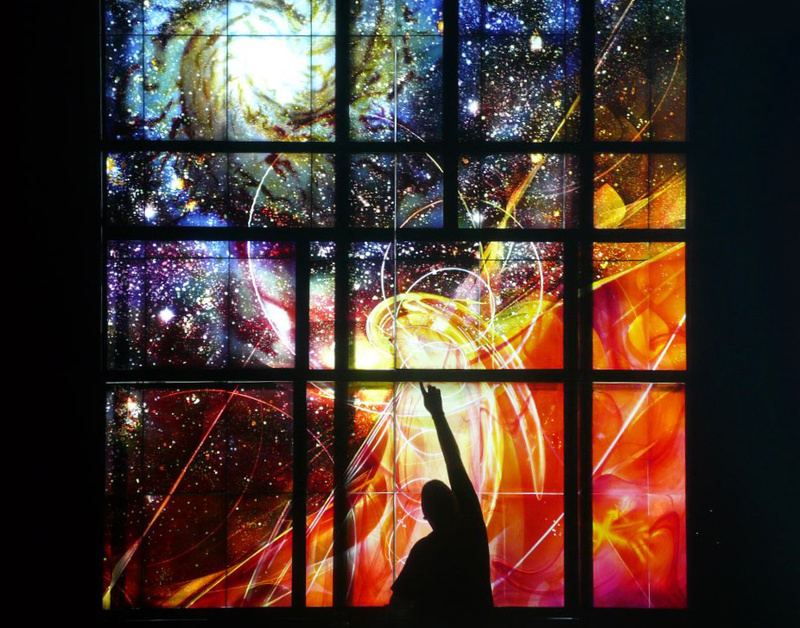 Reviewing progress on the upper third of the Marian Window in the viewing tower at Derix Glasstudios. One more round of firing to go.